In July 2018 Kane Constructions were awarded the Design & Construct contract to deliver the Balmoral Quay Geelong Stage 2 project. Balmoral Quay is located at 43 Liverpool Street, Rippleside and has an approximate land area of 22,000m2. 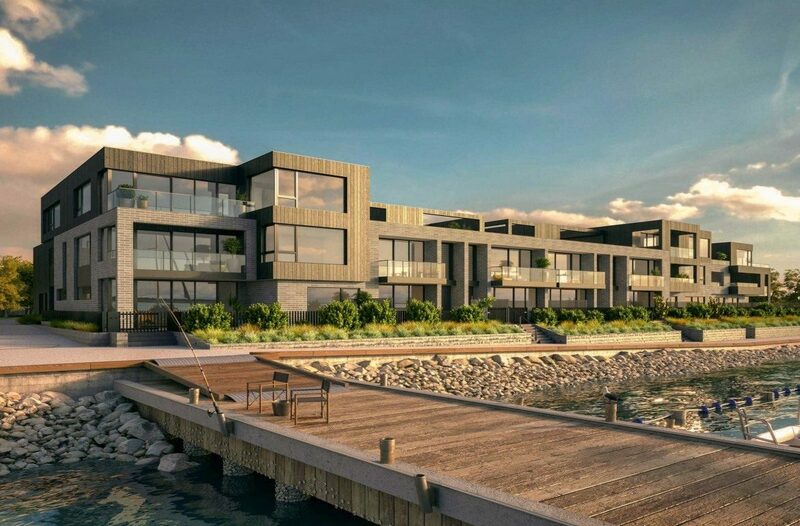 The site is situated on flat reclaimed coastal land at the toe of a broadly linear escarpment fronting Corio Bay and adjacent to Rippleside Park. Kane have been engaged to deliver Stage 2 of this project which consists of 14 boutique townhouses and 9 apartments including external works. Subject works will commence on-site in October 2018 and be completed in mid to late 2019.